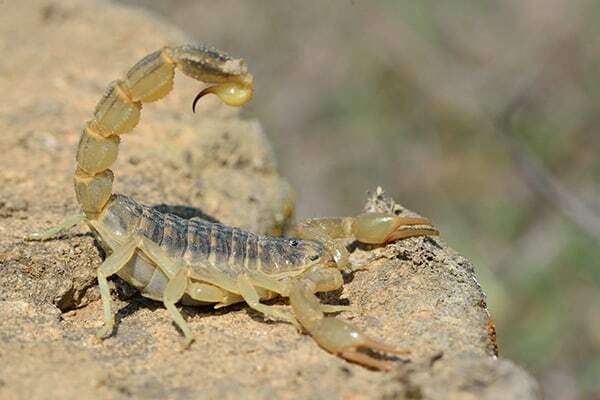 Scorpions are yellowish-brown with long, curled tails. They typically measure about 2 to 3 inches in length but they can grow up to 6 inches long. Though most of the time a scorpion’s sting is on par with that of a bee, in some situations it can be deadly. Scorpions love dry weather which makes them particularly fond of the desert climate in the Coachella Valley. A single female scorpion can birth a hundred babies, making early and consistent pest control essential. Serving Palm Springs, CA and Surrounding Areas.